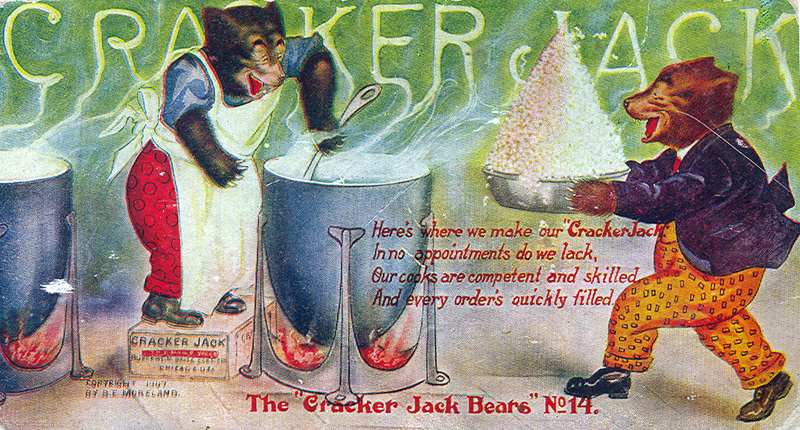 I've collected antique and vintage Cracker Jack prizes for several years, but I didn't have one of their iconic pieces, a Cracker Jack Bears postcard, until we found one this weekend at an antique show, buried deep within a tray of old postcards and photographs. 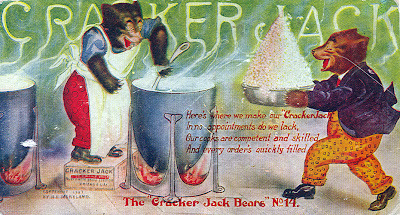 The Cracker Jack Bears were a couple of characters, probably inspired by the contemporary Roosevelt Bears and the concurrent teddy bear fad, used to promote the company's product back at the turn of the 20th century. They appeared in a series of 16 beautifully lithographed full-size postcards, and children were urged to collect them all. 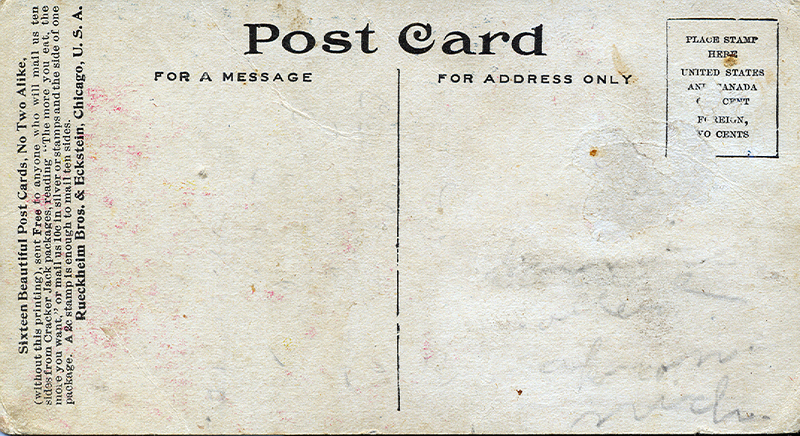 "Sixteen Beautiful Post Cards, No Two Alike, (without this printing), sent Free to anyone who will mail us ten sides from Cracker Jack packages, reading, 'The more you eat, the more you want,' or mail us 10 c in silver or stamps and the side of one package. A 2 c stamp is enough to mail ten sides. Rueckheim Bros. & Eckstein, Chicago, U.S.A."
Great card - and 15 more to look for. Interesting how that generation of illustrated bear had more pointy snouts. Will be fun to see if any other Cracker Jack bear cards have survived. 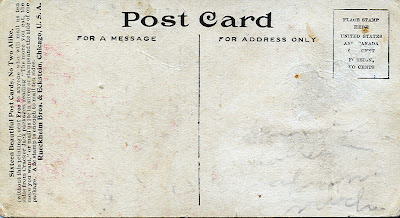 I have one of these post cards. Mine is #7 of 12..